This is a round Seven Oaks Dairy Company porcelain sign. This particular Seven Oaks Dairy sign is predominantly white with green printing. 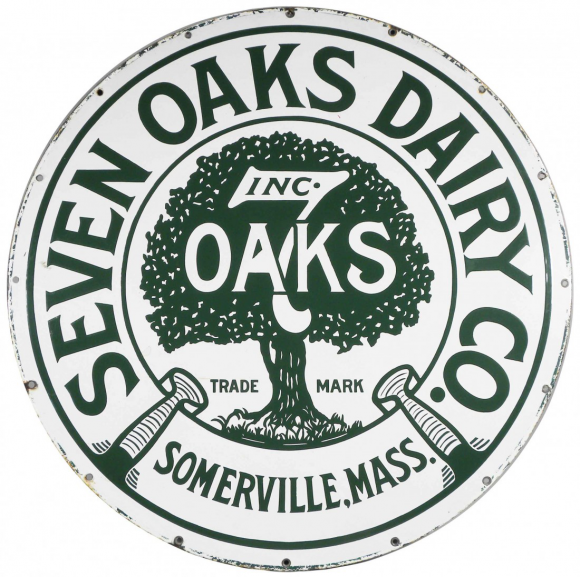 It reads, “Seven Oaks Dairy Co. Inc, Oaks Trademark, Somerville, Mass.” and features a large oak tree in the center.